Philip handles complex insurance coverage matters, including bad faith claims, in state and federal courts in Connecticut, Massachusetts and Rhode Island. He also defends ski resorts, product manufacturers and other businesses in catastrophic personal injury cases. 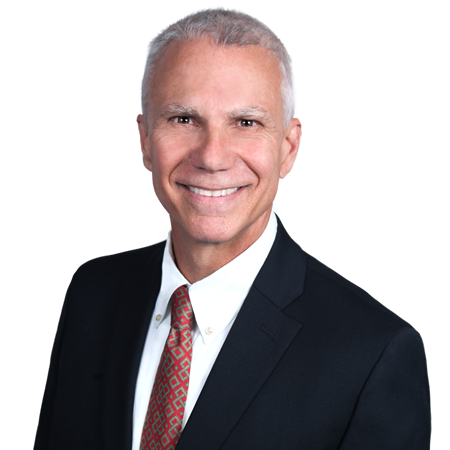 Philip has successfully tried over forty jury cases to verdict and serves as an arbitrator/fact-finder in Connecticut Superior Court. With over 30 years of insurance litigation experience, Philip is a frequent lecturer to insurance companies and insurance trade groups. Immediately following law school, he served as a law clerk for the Honorable Alfred V. Covello of the Connecticut Appellate Session. Outside of the office, Philip enjoys skiing and ballroom dancing. Kostin v. Pacific Indemnity Co.
Kostin v. Pacific Indemnity Co., F.Supp.3d, 2018 WL 1747047 (D.Conn. 2018): Granting motion to dismiss claims against Chubb for coverage of $3.375 million paid to settle claw back action by the Bankruptcy Trustee in the Bernard L. Madoff Investment Securities, LLC bankruptcy proceeding, and for bad faith. Amica Mutual Insurance Company v. Piquette, 176 Conn.App. 559, 168 A.3d 623 (2017): Affirming summary judgment for Amica declaring that single per person liability limits in auto policy apply to both bodily injury and loss of consortium claims. Holmes v. Safeco Insurance Company of America, 171 Conn.App. 597, 157 A.3d 1147 (2017): Affirming summary judgment for Safeco based on suit limitations period in homeowner’s policy. Ellis v. County Agency, Inc.
Ellis v. County Agency, Inc., 2017 WL 1238457 (Conn.Super, 2017): Granting summary judgment for Peerless Insurance Company based on late notice. Roe #1 v. Boy Scouts of America Corp.
Roe #1 v. Boy Scouts of America Corp., 147 Conn.App. 622 84 A.3d 443 (2014): Affirming summary judgment for Boy Scouts in child sexual abuse case. McPherson v. Staples, Inc., 2014 WL 4099329 (Conn.Super. 2014): Granting summary judgment for Staples in case involving alleged assault of patron. Amica Mutual Insurance Company v. Basu, 2013 WL 7020543 (Conn.Super. 2013), declaring that negligent and intentional misrepresentation claims in connection with sale of real property are not covered under homeowner’s policy. Bell v. Safeco Insurance Company of Illinois, 2014 WL 6425728 (Conn.Super. 2014): Judgment for Safeco following court trial in underinsured motorist case involving statute of limitations defense. Stott v. Peerless Insurance Company, 137 Conn.App. 373, 47 A.3d 965 (2012): Affirming summary judgment for Peerless in underinsured motorist case. D’Amico v. ACE Financial Solutions, Inc.
D’Amico v. ACE Financial Solutions, Inc., 122 Conn.App. 230, 997 A.2d 642 (2010), aff’d 308 Conn. 137, 61 A.3d 483 (2013): Affirming that workers’ compensation claimant has no right to sue carrier for bad faith. Ackiefi v. Bloomfield: Defense verdict in multi-million dollar lost income claim against Town of Bloomfield. Kinsey v. Pacific Employers Insurance Company, 277 Conn. 398, 891 A.2d 959 (2006): Vacating $1 million arbitration award for plaintiff in underinsured motorist case. Frantz v. U.S. Fleet Leasing, Inc.
Frantz v. U.S. Fleet Leasing, Inc., 245 Conn. 727, 714 A.2d 1222 (1998). Vacating $2.7 million judgment in underinsured motorist case. Elliott v. Waterbury, 245 Conn. 385, 715 A.2d 27 (1998): Affirming summary judgment for municipality in shooting case based on governmental immunity. 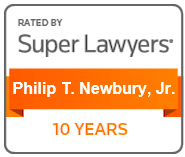 Philip has been designated by his peers as a SuperLawyer since 2006. In 2017, he was designated by his peers as the Best Lawyers “Lawyer of the Year” in Insurance Coverage in Hartford.